The Government has published draft rules defining which public services are deemed “important” to require a 40% strike vote to take industrial action. Trade Union Act 2016: a boost for unofficial industrial action? New balloting rules under the Trade Union Act 2016, which have yet to come into effect, require an overall turnout of 50% of eligible voters to authorise industrial action. For employees in important public services an additional threshold applies, whereby 40% of eligible voters must vote in favour of a strike. border control services, such as patrol, inspection and intelligence services. Once approved by Parliament, the Regulations will come into force on 1 March 2017 or, if Parliament has not approved the rules by then, 21 days after approval. The Government will produce guidance to further clarify which workers fall within the services covered. The Trade Union Act 2016 introduced a number of changes to union balloting, including informational requirements on ballot papers, restricting the mandate for strike action to a six-month time frame, and increasing the notice of a strike to employers. Although the Act became law in May, the requirements around balloting are not yet in force. Susie Munro, employment law editor at XpertHR said, “While the new rules will make it harder for unions to achieve the required mandate for strike action, they won’t necessarily make strikes in important public services less common. 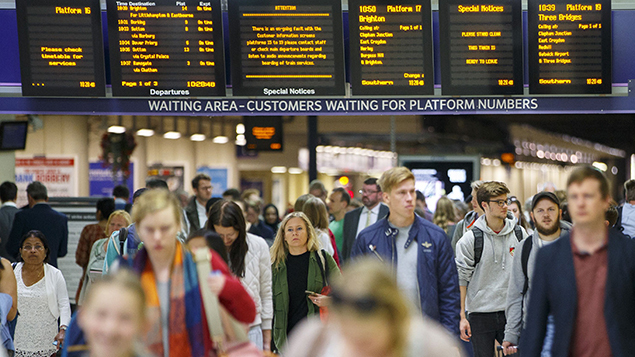 “For example, the RMT easily met the 40% threshold when balloting Southern rail conductors on strike action earlier this year, with a ‘yes’ vote from 78% of those entitled to vote. An independent review into electronic balloting required by the Trade Union Act 2016 was announced earlier in November.